The two most common types of sports betting bonus are the percentage-based deposit bonus and the “risk free” bet deposit bonus. So, what does a sports betting site mean when they say “risk free bet”? This is where you need to bring out your glasses and take a look at the fine print, because the terms and conditions do vary significantly between different offers. Sometimes, it will truly be a risk free bet. You make a bet, and if you lose your bet, you get your wager back again – in the form of cash in your account that can be withdrawn immediately. For other offers, the term risk free isn’t exactly correct, because you make the bet using deposited cash and if you lose the bet you get your wager back but in the form of bonus money with a wager requirement. Due to the fierce competition between the many casinos online, it is common for modern online casinos to give you a no deposit welcome bonus as soon as you sign-up. Example: “Sign-up with us and you get a €10 welcome bonus – no deposit required.” In some casinos, the no deposit welcome gift consists of free spins rather than bonus money, but the main idea is the same; you get a chance to try out the casino without making a deposit first. So,what happens if you win something while wagering your no deposit welcome bonus (or the free spins)? You would be hard pressed to find a casino that would simply allow you to take out your winnings and be on your merry way. Instead, a no deposit welcome bonus will typically come with strings attached. You may for instance be required to make a deposit of a certain size before you can withdraw any winnings, or the bonus might freeze your account until you have fulfilled a wager requirement. Nearly all online casinos will give you a bonus on your first deposit, and in quite a few online casinos the welcome package also includes a deposit bonus on your second, third and fourth deposit. As an active member in a good online casino, you can also expect to get offers for deposit bonuses, since this is a common way for online casinos to keep their members happy and decrease the risk of current members going off to other online casinos in search of 1st deposit bonus offers. 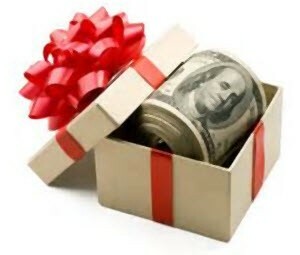 A deposit bonus is usually attached to a wager requirement. Make sure to check in advance if the wager requirement pertains to the bonus amount only, or if it is calculated based on deposit size + bonus size. Poker rooms tend to have really big welcome bonus offers. Just as in the casino world, some poker rooms will focus on the 1st deposit, while others have a more extensive welcome package with bonus offers for subsequent deposits as well. While a casino bonus normally shows up in your account balance as soon as you accept it, the situation is different for the poker bonus. In most cases, your poker bonus will not become available to you until you have fulfilled a certain wager requirement in advance. You fulfill a poker wager requirement by generating rake at the cash game tables or paying to enter poker tournaments. If you have qualified for a big poker bonus, it will probably be broken down into smaller increments to make the task of fulfilling the wager requirement less daunting. 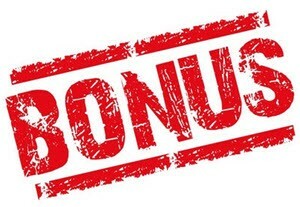 So, instead of having to wait until you have completed the requirement for the entire €500 welcome bonus to receive any bonus money, bonus money will show up in your account in increments, e.g. €10 at a time or €25 at a time, as you gradually work your way through the wager requirement.